A beach scene full of colorful umbrellas and people enjoying the sunshine! Fun for the beach house or home decor. Beach Painting "On the Beach"
"On the Beach" is a new beach print added to my Beach Paintings Gallery. For the full range of over 200 beach prints available, please visit my gallery here. To view the above original beach painting and many others from my Etsy store, please click here. 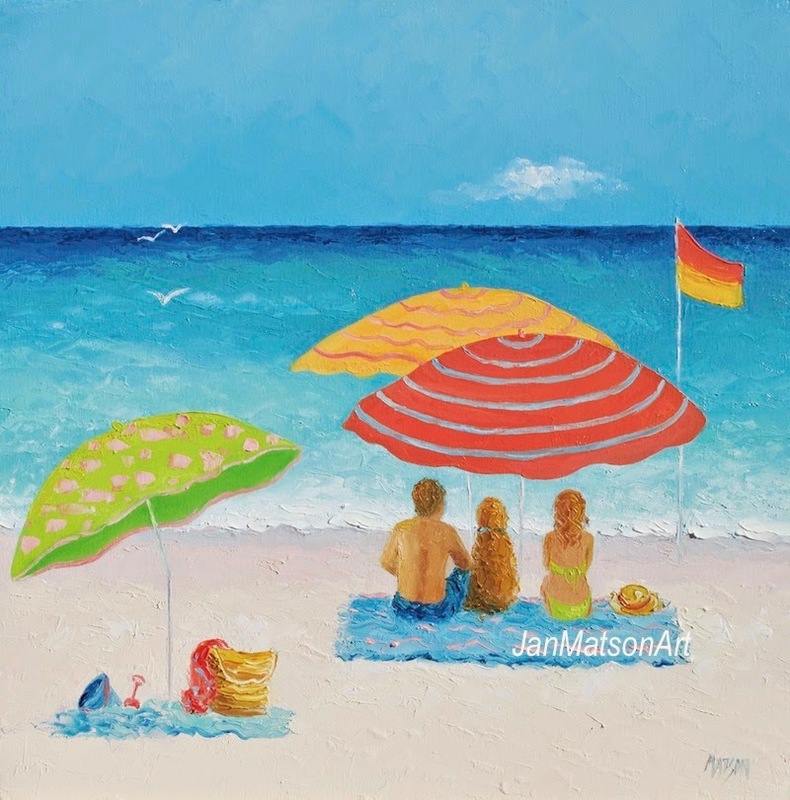 Beach Print newly added this week "Hot Lazy Day"
A bright and colorful beach painting for the beach house or home decor. A bright array of beach umbrellas and people soaking up the sun at the seaside! I have over 200 beach scenes to to browse in my Fine Art America Beach Gallery. This beach scene is available in many forms of print: canvas, metal, acrylic, framed, poster and greeting cards. Just click on the image to view all details. This one is sure to delight any girl who loves the beach! Beach Painting new on Etsy this week "Beach Color"
Oil on stretched canvas 18" x 18" x 1 1/2" . 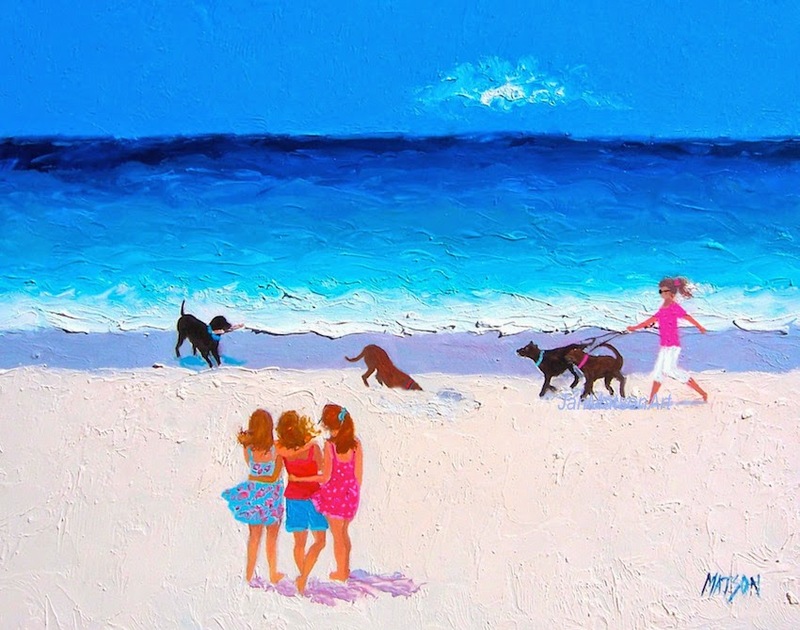 A colorful beach painting to bring back you summer holiday memories. A fun painting for your home or beach house decor! To view all of my original BEACH OIL PAINTINGS available from my Etsy Store, please click here. If you are after a BEACH PRINT, I have over 200 to choose from here. Beach Art for the Beach Lover!